Deep understanding of databases (both Relational and Non Relationship) especially oracle and Cassandra from implementation stand point . Experience in querying and analyzing data using SQL( oracle/terradata) and tying data from various sources is preferred. 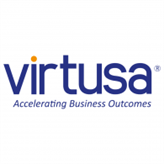 Want to get notified about new jobs at Virtusa Corporation ?